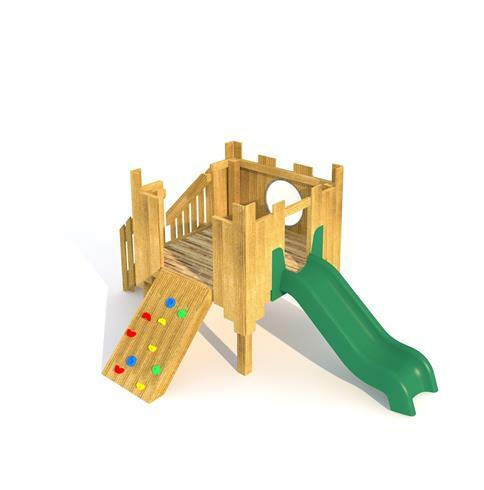 The Restormel Modular Play Tower is an introductory resource for early climbing skills and physical literacy. This will be a popular structure amongst Nursery and Early Years children who will enjoy looking out to their play environment from a different height and perspective. Young children will begin to build their climbing confidence and fine motor skills as they grip the climbing holds when aiming to reach the top platform. The bubble window adds imaginative play value as children look out to their 'little buddies' below. There is a good amount of space at the top for story telling to help inspire role play activities.